​Synchronic (in)visibility (2017) is a work that operates as a disembodied experience of performance, since the performer is not physically present in the gallery space before the audience. The audience is instead viewing the performance on a large screen projection, while the performer is at an undisclosed location performing alone. The performance is live-feed broadcast on the internet in realtime, so in addition to the gallery goers, anyone, anywhere could access the performance. In the undisclosed space (the performance broadcast room), there are 3 surveillance cameras at different angles set up, while the broadcast source runs an automated VJ programme that layers the camera angles at intervals, enhancing the linear abstraction of the high-visibility lines. 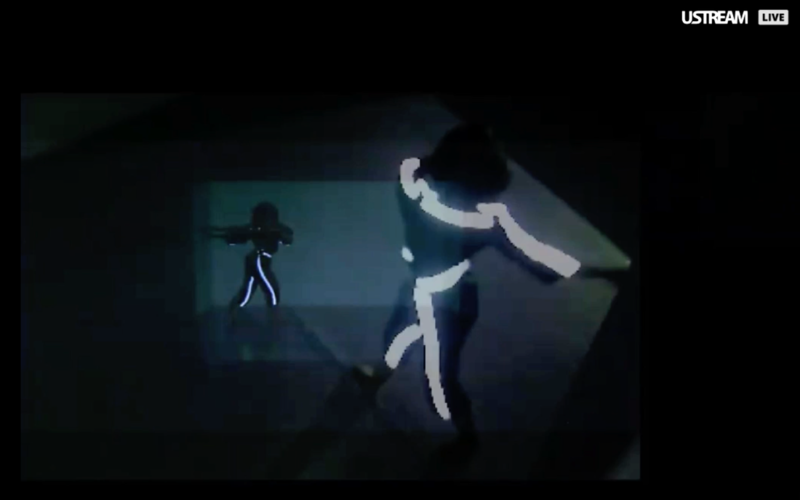 The performer is wearing a black suit lined with high-visibility reflective strips that are removed one-by-one over the duration of the performance and composed onto the wall. ​11.05.2017: First iteration of project. 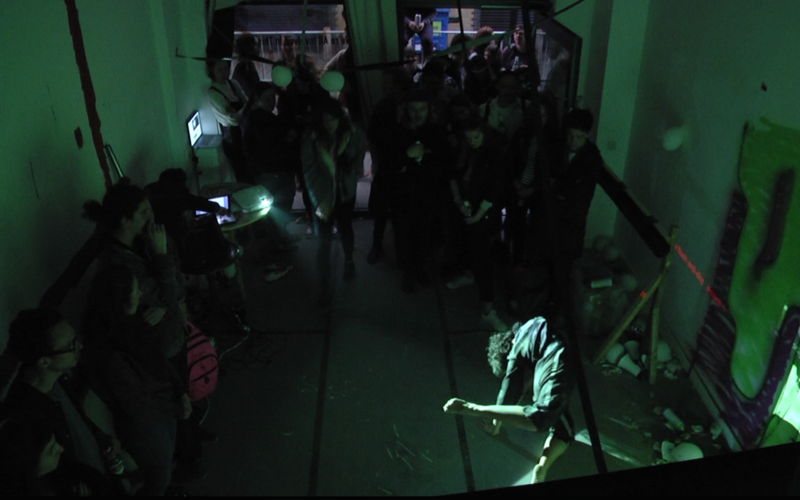 Live performance at Enclave Lab for 'We're All Involved In This Mess' (London). Live-stream broadcast in Buster Mantis and Job Centre, Deptford. ​15.06.2017: Final iteration of project. Disembodied performance. Live broadcast from Deptford Studios on Ustream.